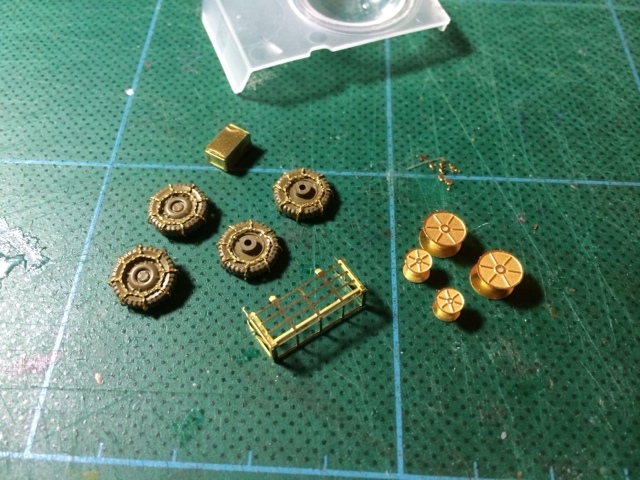 A modest update, managed to build up the snow chains. Paint where it's at now. 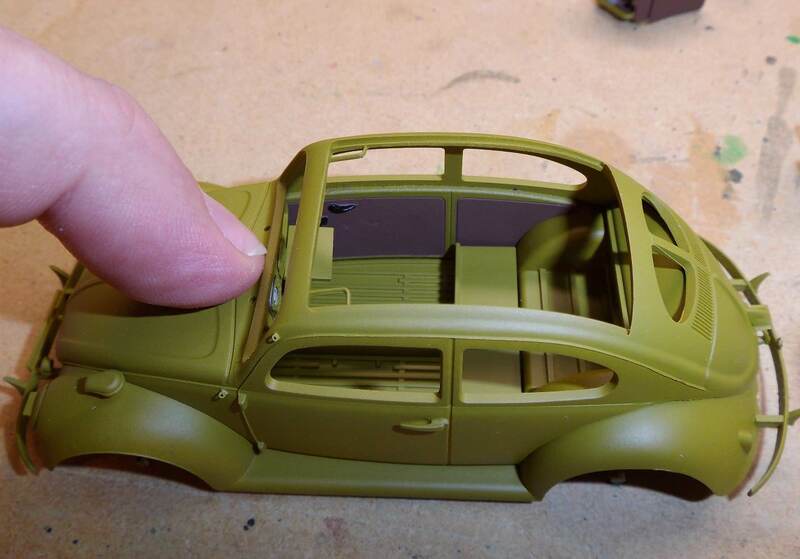 I looked online and it seems that most of the VWs had door panels that matched the seats. 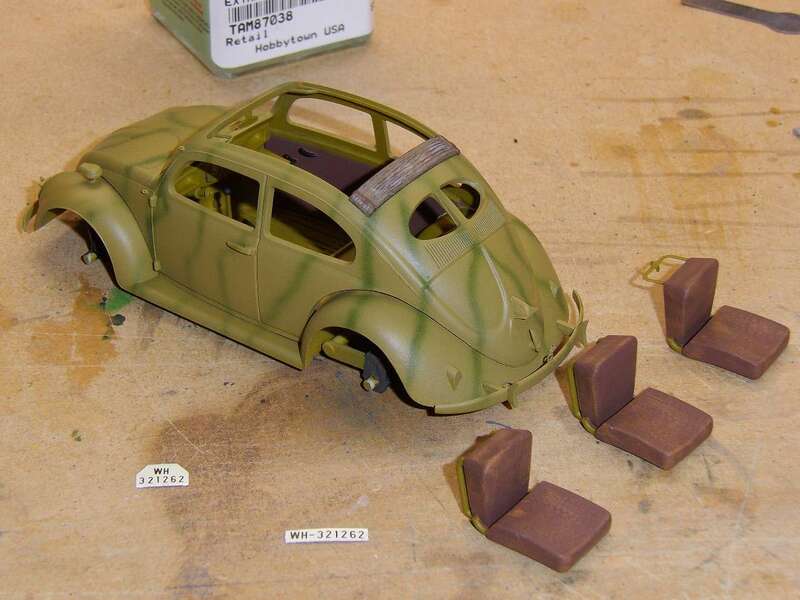 I really doubt (having partially restored a 1961 bug) that the Germans would have painted over the door panels and knobs...so that's what I've tried to replicate here. 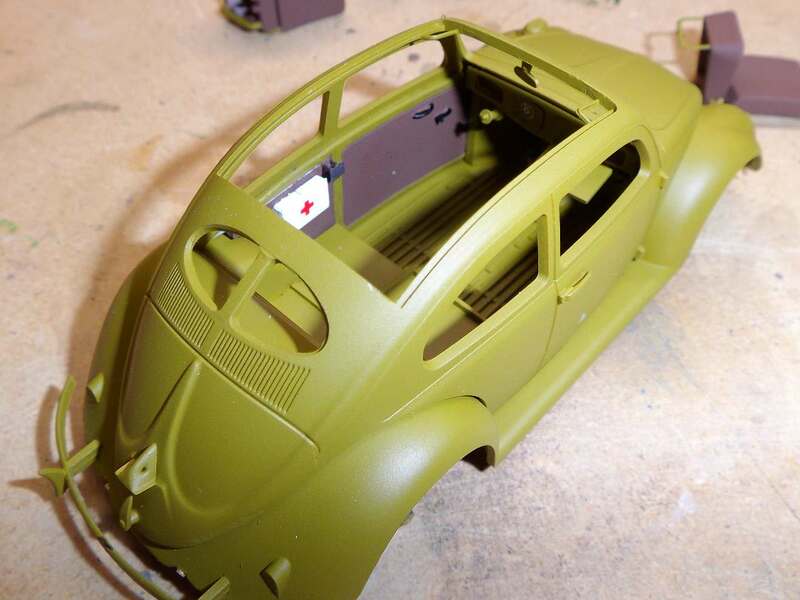 Nice job Mike, it is starting to look like my old VW. Really nice builds, guys! I WILL start mine soon....got a good lead on a trailer. Went for a subtle camo job. I'm pretty happy with it. License plates are decals from different kit attached to the backs of the Eduard PE plates. 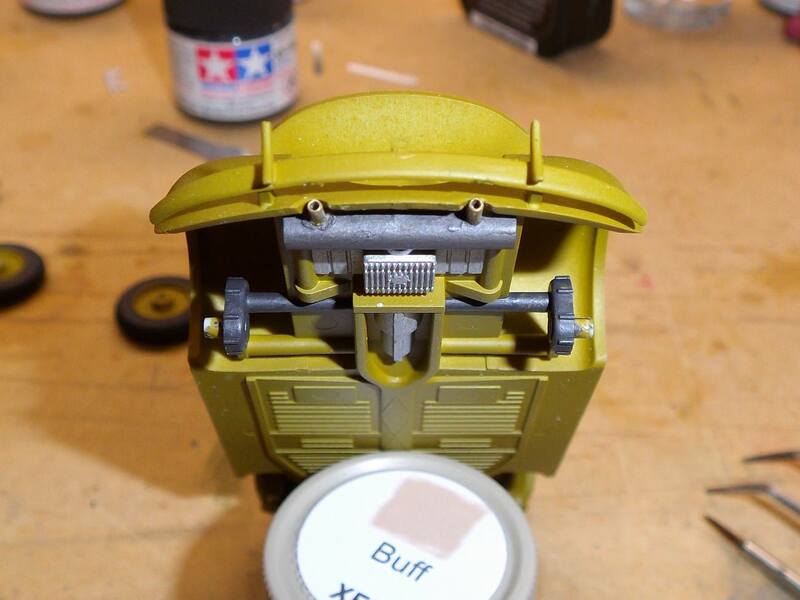 Step 1 of the weathering of the seats is done (and I'll need to do the same to the door panels). So far, the Bug has gone together pretty well. 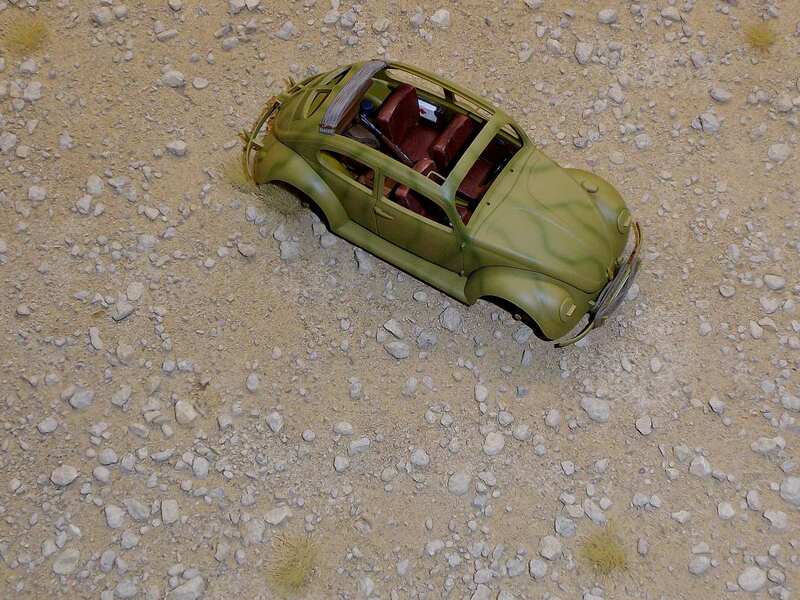 Camo looks great, seats look super, nice subtle work, Mike! 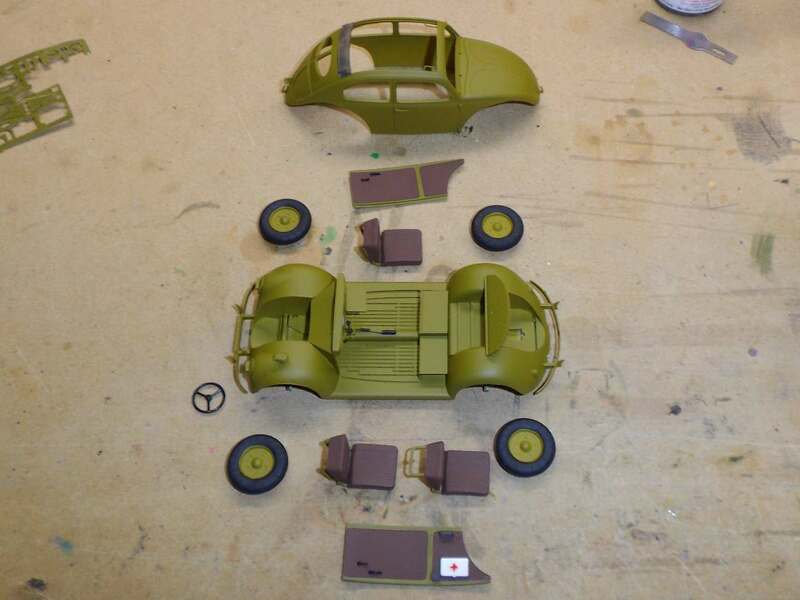 I want to make a start on my entry for an american ww2 willys jeep 1/72 airfix though as many of us know and some recent posts about photobucket now slammin people using their servers to host images on here.. which iv used constantly for years can anyone recomend the best site to use so i can post my w.i.p. iv tried using kitmaker network in the past but to very little and long overstressed trying to upload a pic. I use Imgur now. EVERYTHING about them, at this time, is so much better than Photosuckit was even on a rare good day. Thanks guys goin to make a start tonight just created my acount now. Getting closer. Added some "stuff" to the rear - tarp roll and crate from Value Gear, helmet, binos, rifle, and mask canister from the spares box, and "rope" from another kit (hope I don't need that later on! It'll be sitting on the ground until I can get the $$ to get some SKP or DEF balloon tires as they are sooooo much better than the kit tires. Sonny, so small... my eyes bleed just looking at that etch! Mike, looking great. Love the subtle camo approach, understated but very appealing. 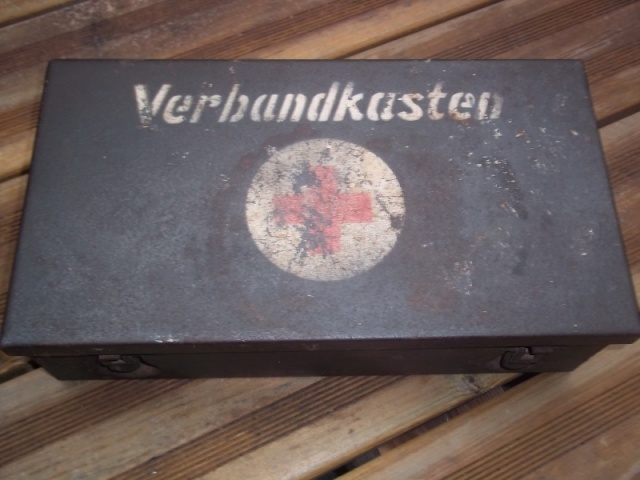 Just some info for you, the German Verbandkasten (first aid kit) were not white all over, only a circle in the centre of the lid was white, and that had the red cross in that. They were actually a field grey colour usually, or dark yellow later in the war. They were actually a field grey colour usually, or dark yellow later in the war. Well, heck! No problem to change that as the "shell" isn't attached. I appreciate the input! Here's my start photo for my build. 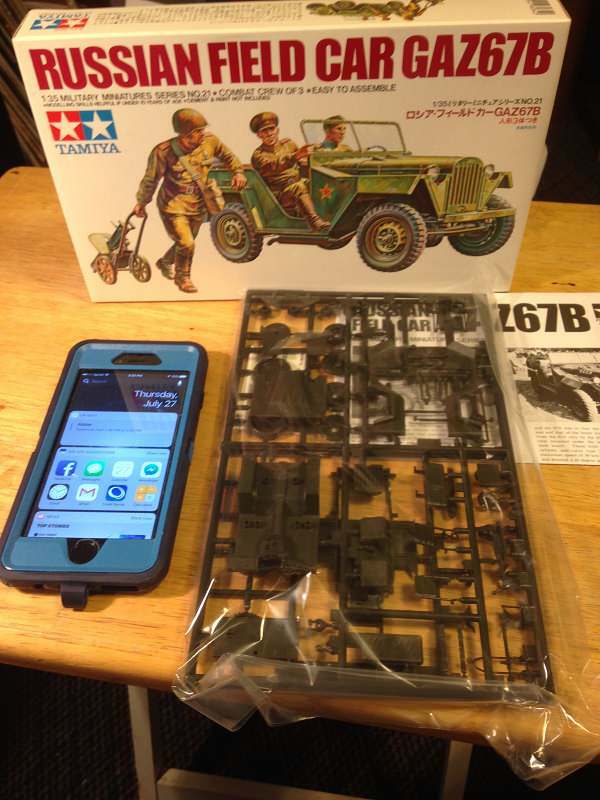 I'll be building the old Tamiya Gaz-67B. I'm pretty much an OOB builder but I hope you'll get something out of the build. Been a while since I posted a photo so hope it works. Removed by original poster on 07/27/17 - 22:01:36 (GMT). I must be doing something wrong. I can't get it to show me the properties on right click when I open the photo in my gallery so that I can copy the full size photo into the forum. Any suggestions? John, In your Gallery, make sure you click on the thumbnail to enlarge the view, select that one and not the tiny one. Try pasting this image address in. Thanks Mike for the help. I did edit the first post but it didn't work so I figured I would at least get my start photo posted, even if its just a thumbnail. The next couple of tries also failed. I did open my thumbnail into full view but when I right clicked on it I didn't get the option to view properties. I haven't had this problem in the past but I'm no longer using IE11 and with all the PB problems I'm not sure where the problem is coming from. I loaded the original photo into my kitmaker album. I want to address this before I attempt to post in progress photos. 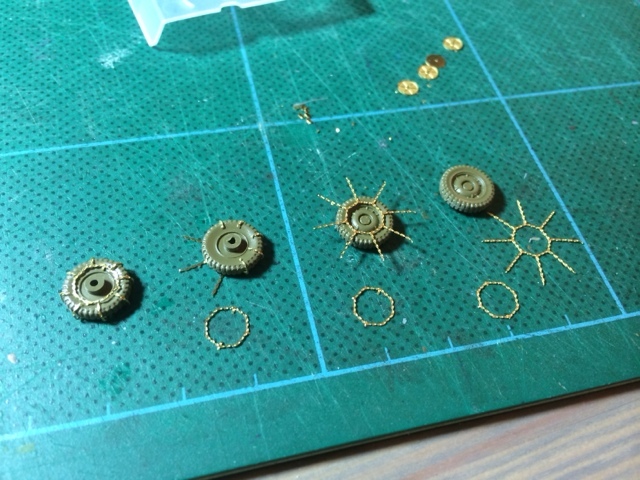 I'll keeping working on it, but thanks again for your help. You are welcome Mike. Glad it was an easy fix for you.... not that you really had to do it. Removed by original poster on 07/30/17 - 01:25:57 (GMT). Removed by original poster on 07/30/17 - 01:27:15 (GMT). Success! Used the BBCode link. 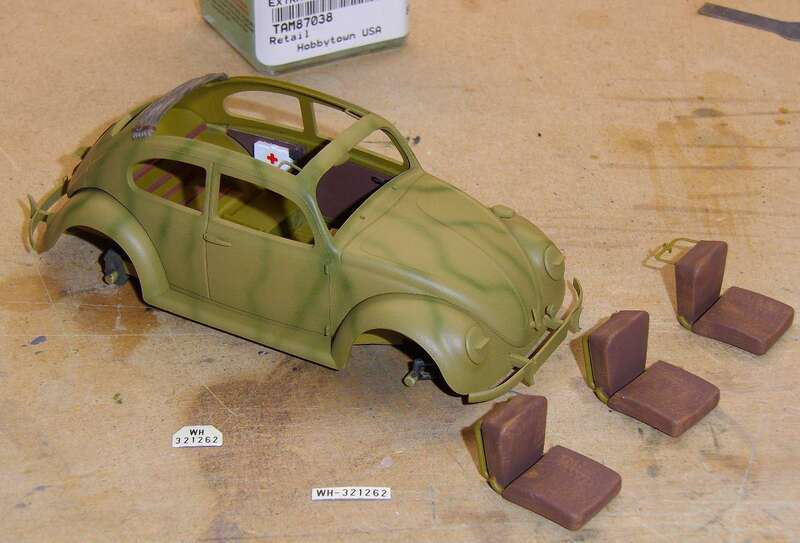 Back from vacation and ready to build.. got to love those jeeps.. Lets see, what to do, ok got this in the mail yesterday. You can find some bargains on Amazon now and then.. $15... its not the latest and greatest, but I think it will make a nice build..
by the way some good builds are going on so far..